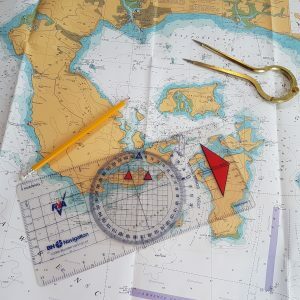 RYA Coastal Skipper Yachtmaster Theory course takes your theoretical knowledge much further, and goes into more detail on some trickier topics. Tidal Streams, Satellite Navigation, Radar Navigation, the Magnetic Compass , and many more topics are covered in detail. The online course allows you to work at your own convenience and pace. It is compatible with most devices allowing you to study anywhere. This course is delivered by Navathome, a RYA Recognised Training Centre specialising in online training, to book this course please contact Haslar Sea School directly. By booking this course, you are agreeing to Navathome Terms and Conditions. Study pack with necessary equipment will be mailed to the student once enrolled, along with login details.